This is a repost of my review from when I saw the film at Tribeca earlier this year. 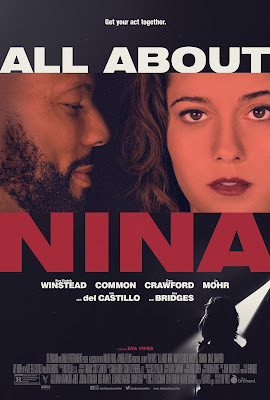 Nina (Mary Elizabeth Winstead) is an acerbic comedian who is on her way to the top while her personal life implodes. Her relationships with men are truly awful and she is being stalked by an abusive married cop. Deciding to make a break she leaves New York and goes to LA to try to follow up on a chance for a big comedy show. Amazingly she also meets an open and honest good guy (Common) who scares the crap out of her but presents the possibility for happiness. ALL ABOUT NINA surprises at every turn. What seems to be a typical look at a comedian trying to make it instead presents it self as a stunning character study. There is some very heavy material being presented here, often in a humorous fashion with the effect that by the end we are blindsided by how we feel as it all plays out. I was left feeling moved and slightly shell shocked at the rawness of some of the emotion revealed. That the film works as well as it does is due in large part to the cast especially Mary Elizabeth Winstead and Common who make their characters real people we really like. 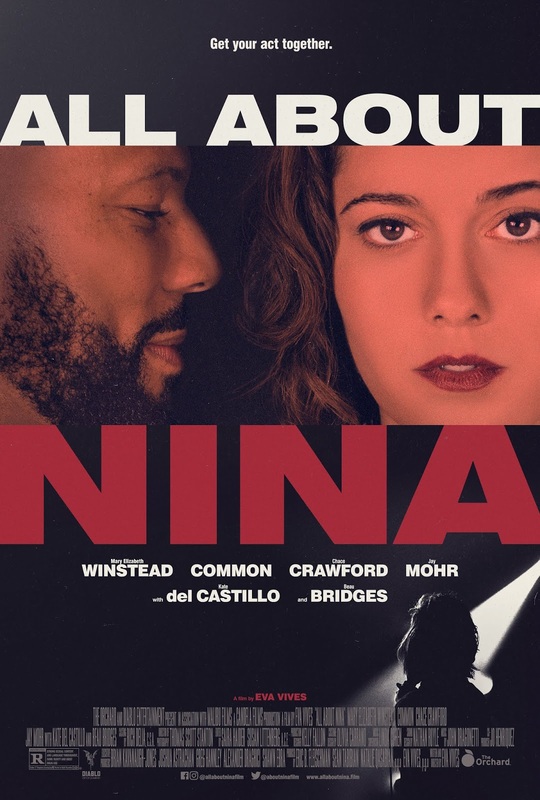 Winstead should be singled out and up for numerous awards with a performance that is deceptively simple (a comedian with issues? Piece of cake right?) but in fact reveals itself to be filled with very real and very raw emotion. She is not the typical by the numbers movie girl but one many of us know or are ourselves.